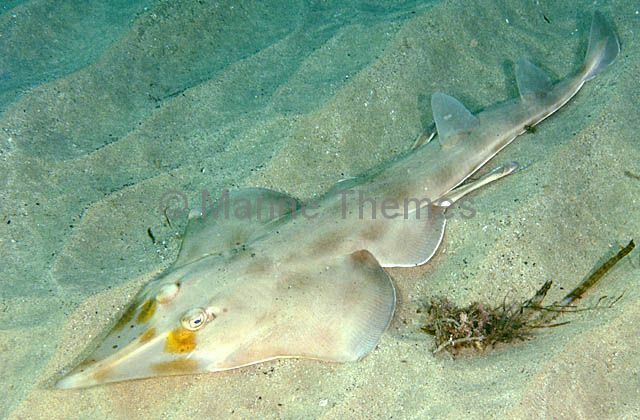 Eastern Shovelnosed Ray (Aptychotrema rostrata) Male. 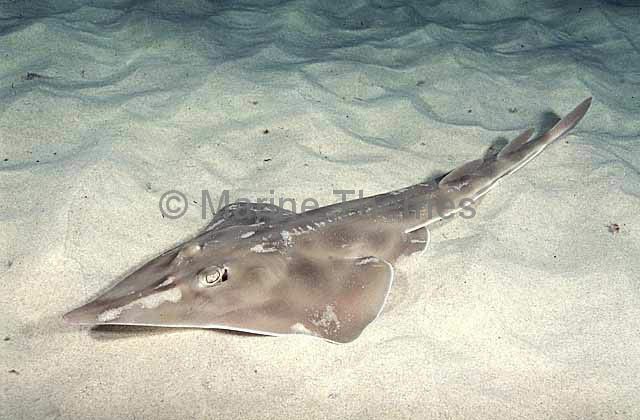 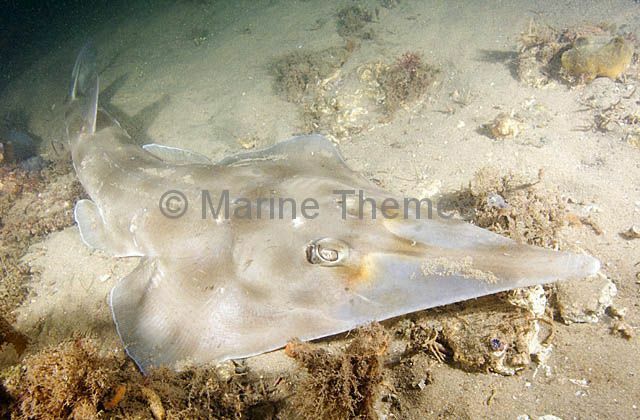 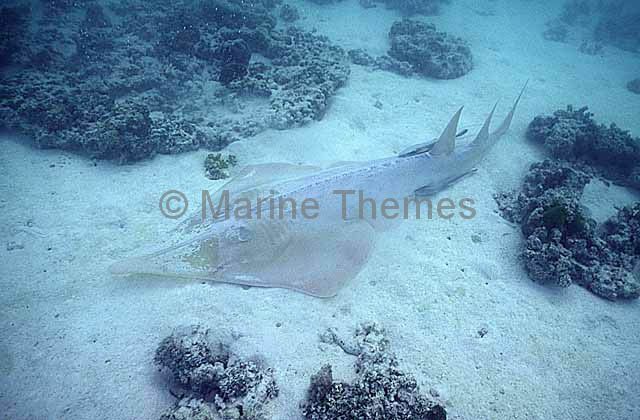 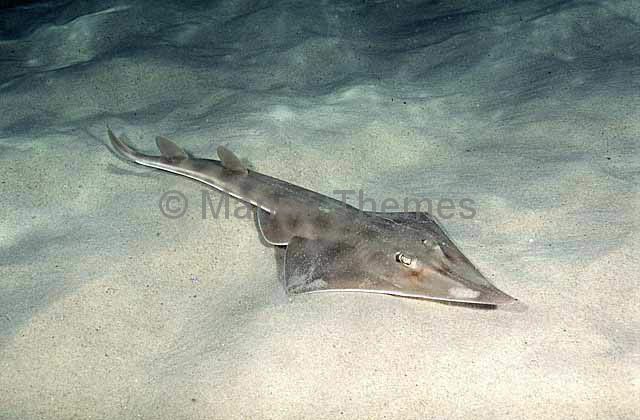 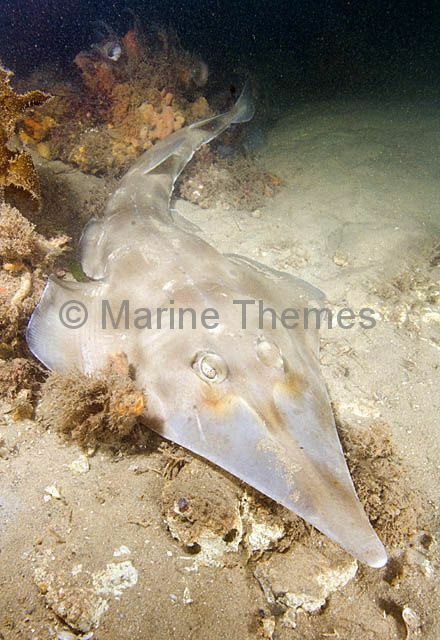 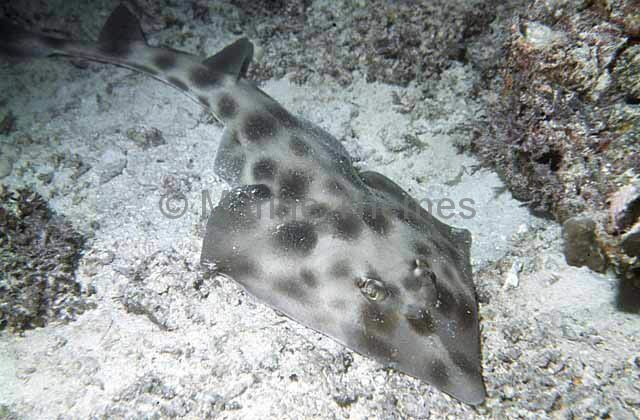 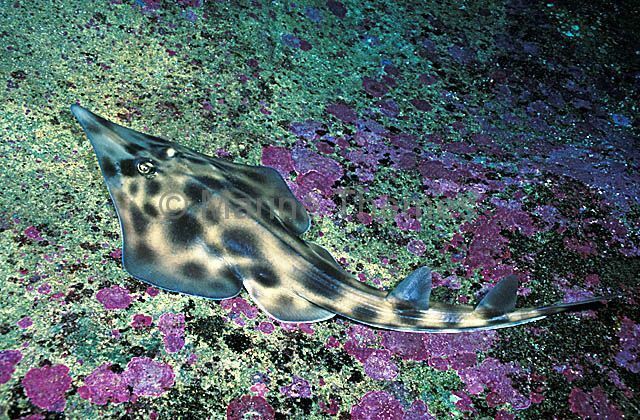 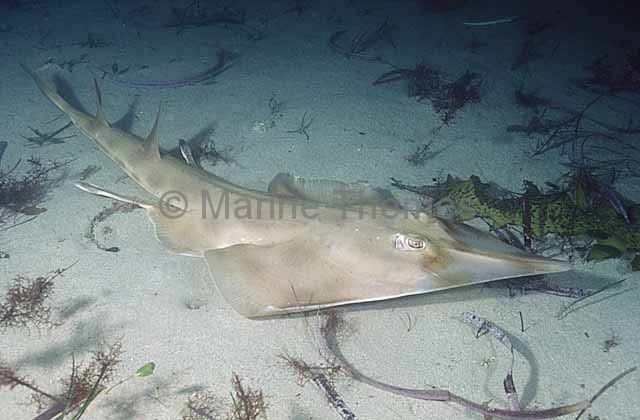 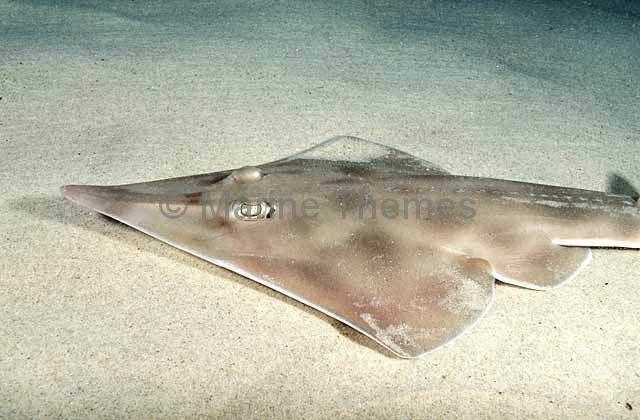 Eastern Shovelnosed Ray (Aptychotrema rostrata) Adult. 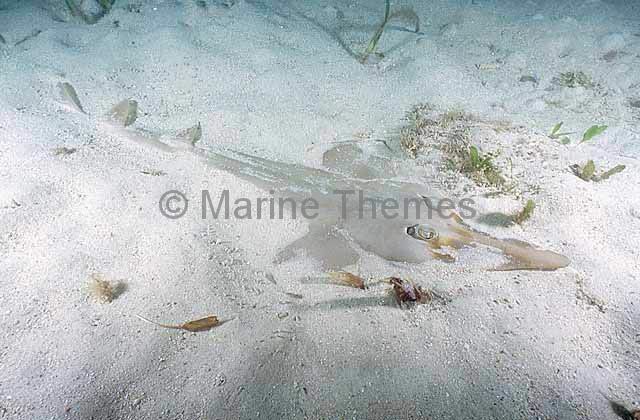 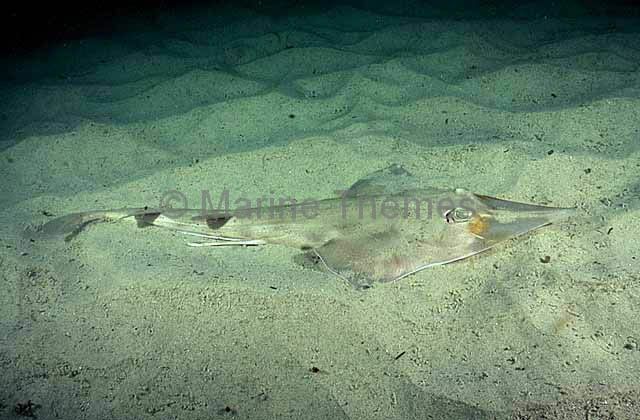 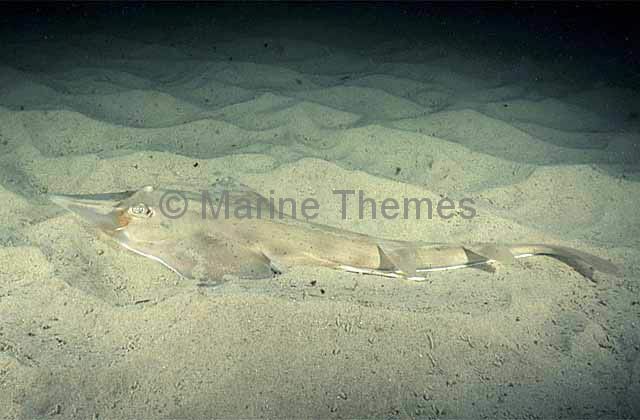 Eastern Shovelnosed Ray (Aptychotrema rostrata) partially buried in sand. 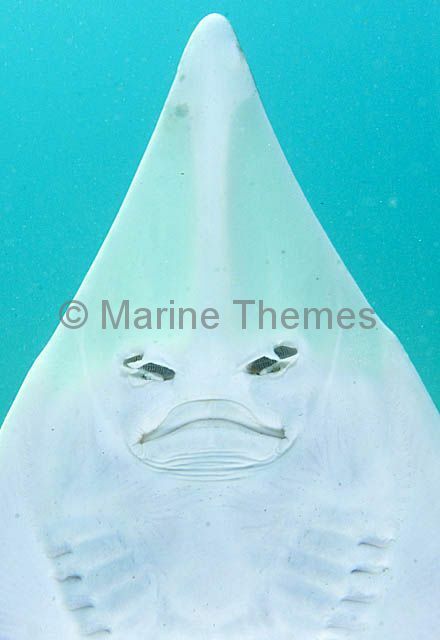 Eastern Shovelnosed Ray (Aptychotrema rostrata) Detail of underside of snout showing rostral cartilage, nostrils, mouth and gills.